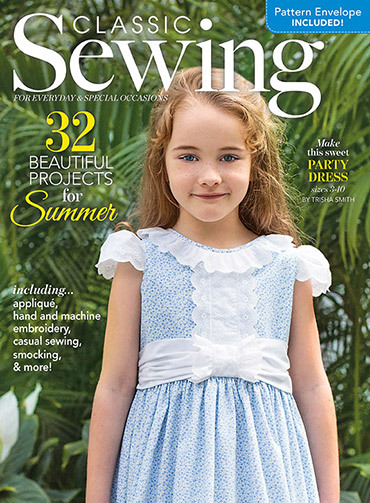 The Summer Issue premieres a beautiful dress with great bodice treatment by Trisha Smith on the cover. 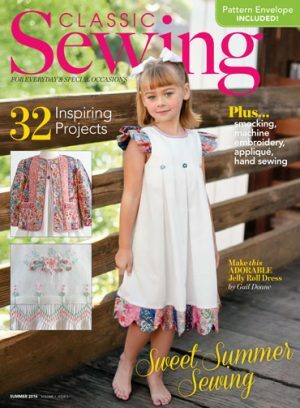 The issue is filled with outfits and projects to fill your summer sewing hours. Martha Pullen begins her series of articles on antique garments from her private collection. Bright colors and wonderful ideas fill this summer issue. 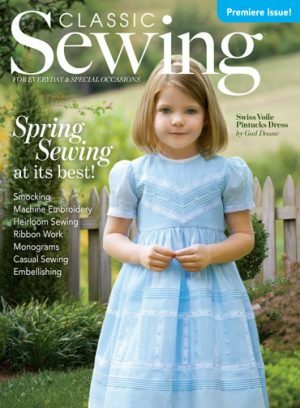 The Summer Issue premieres a beautiful dress by Trisha Smith on the cover. The lovely bodice treatment adds great interest to a flowing summer frock. 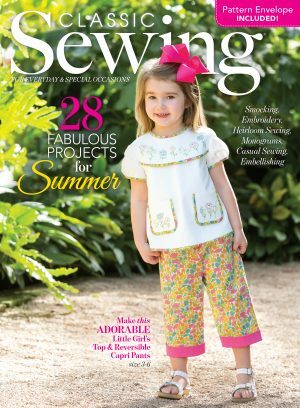 The issue is filled with outfits and projects to fill your summer sewing hours. A visit with the Stitchin’ Post gives us a sneak peek into a wonderful sewing shop that will delight the most discriminating sewist. Martha Pullen begins her series of articles on antique garments from her private collection. Bright colors and wonderful ideas fill this summer issue. Instant Access to 16 project download files when you purchase.